The complete TV schedule for April 11, 2019, with a list of every new episode airing during the day. The complete TV schedule for April 10, 2019, with a list of every new episode airing during the day. The complete TV schedule for April 9, 2019, with a list of every new episode airing during the day. The complete TV schedule for April 8, 2019, with a list of every new episode airing during the day. 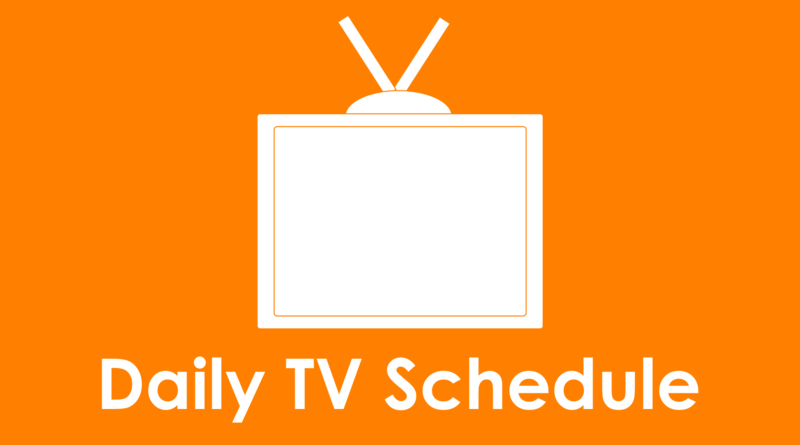 The complete TV schedule for April 7, 2019, with a list of every new episode airing during the day. The complete TV schedule for April 6, 2019, with a list of every new episode airing during the day. The complete TV schedule for April 5, 2019, with a list of every new episode airing during the day. The complete TV schedule for April 4, 2019, with a list of every new episode airing during the day. The complete TV schedule for April 3, 2019, with a list of every new episode airing during the day. The complete TV schedule for April 2, 2019, with a list of every new episode airing during the day.